Budapest, the capital of Hungary, became a city in 1872, following the union of the historic towns of Buda, Obuda, and Pest. 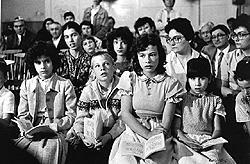 Each town had a separate Jewish community until the 1950’s. Also called Ofen, Oven, Boden, Bodro. The first Jewish settlers came to Buda from the German and the Slavic countries in the second half of the 12th century. In 1279 they were isolated in their own quarter, and forced to wear a red badge. In the 14th century they were twice expelled, in 1349 following the anti-Jewish accusations after the “Black Plague”, and again in 1360 as a result of the hostile influence of the Church. In 1364 they were permitted to return, however some restrictions were imposed on them. After the establishing of Buda as the royal residence of the Hungarian kings in late 14th century, its Jewish community enjoyed a leading status within the Hungarian Jewry. In the 15th century the Jewish community was recognized as an autonomous government, and the Budapest community-leader became leader of the entire Hungarian Jewry. During this period the Jews of Buda were mainly engaged in commerce, and in exports to the German lands and Bohemia. In 1526 the Turks captured Buda. The majority of the Jews, about 2,000 people, were expelled to the Ottoman Empire. A minority escaped to communities in western Hungary that had not fallen to the Turks. Jewish settlement in Buda was renewed in 1541, and despite the heavy taxes, the community grew, becoming the wealthiest and most important in Hungary. The Jews were employed in commerce and in the financial sphere. They occupied influential positions in the management of the treasury. In 1660 the Ashkenazi and Sephardi communities numbered about 1,000 Jews. In 1686 the Jews of Buda suffered badly during the siege by the Austrians and their allies before the town was captured from the Turks. The Jews sided with the Turks and nearly half of them perished. 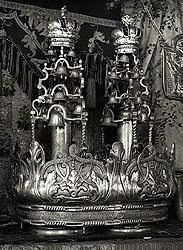 The Jewish quarter was sacked and the Torah scrolls were set on fire. Half of the remaining Jews, about 250, were taken prisoners and banished. The Austrian administration put limitations upon the Jews, at the demand of the Christians. The Jews of Buda were exiled in 1746 by Empress Maria Theresa, and were permitted to return in 1783 when Emperor Josef II allowed Jewish settlement in Hungarian towns. The community did not attain its former status until the second half of the 19th century, at which time there were 7,000 Jewish families living at Buda. In the second half of the 18th century a Hevra Kadisha was established in Buda. Four synagogues were built until 1869, and two others at the end of the 19th century. 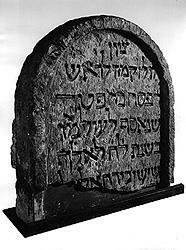 The first known rabbi of the community was Akiva Ben Menahem Hacohen, also called “Nasi”, in the 15th century. In the second half of the 17th century, during the lifetime of Rabbi Ephraim Ben Yaakov Hacohen, Buda was an important center of the Shabbetai Zvi messianic movement in Hungary. The capture of Buda by the Austrians in 1686 is mentioned in Megilat Ofen, of Yitzhak ben Zalman Schulhof. Moshe Kunitzer, a pioneer of the Haskalah movement in Hungary, was chief rabbi in the years 1828 – 1837. Also called Alt-Ofen, in German, and Oven Yashan (“Old Buda”), in Hebrew. A Jewish community existed in Obuda in the 15th century, and vanished after the Turkish conquest in 1526. In 1712 a Jewish settlement was renewed by Yaakov Lob. 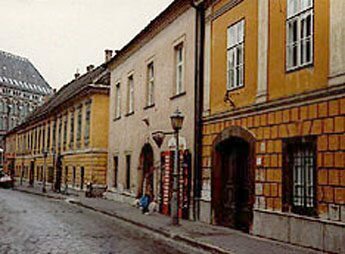 In 1727 there were 24 Jewish families living in Obuda, under the protection of the counts of Zichy. In a document recognized by the royal court in 1766 the Jews were granted freedom of religion, trading rights against payment of special taxes, and permission to live anywhere in the town – a privilege granted in Obuda only. The Jews of Obuda practiced agriculture, commerce and various trades. The textile factories, established in Obuda by Jews, among them the Goldberger company, had a reputation throughout Hungary. Talmud lesson in the synagogue, Budapest. Beit Hatfutsot, the Visual Documentation Center. Courtesy: Andreas Vilnany. The first synagogue was built in 1738, and in 1770 a Hevra Kadisha was founded. In 1820 the great synagogue in Lajos Street was consecrated, and was one of the best known in the Habsburg Empire. A Jewish hospital was established in 1772. At the same year a school was built at the demand of Emperor Josef II, however the Jewish parents did not wish to have Christian teachers for their children, and the school was closed. The old synagogue of Obuda was replaced by a new impressive building in 1820. By the middle of the 19th century the importance of the community decreased and many Jewish families moved to Pest. Jews are first mentioned in Pest in 1406. In 1504 there is a mention of some Jewish owners of houses and land. After the Austrian conquest in 1686 Jewish settlement in the place came to an end. Although some sources mention a sporadic Jewish presence in Pest, Jews expelled from Buda started the Jewish settlement again after 1746. However, their presence was officially recognized only in 1783, when Emperor Josef II (1780-90) allowed Jews into Hungarian towns. After the emperor’s death, limitations on Jewish settlement were re-imposed, and only a few Jews chosen by the town’s authorities were permitted to stay in Pest. Most of the Jews then moved into the Erzsebetvaros quarter, which had a large Jewish population until the Holocaust. The Jews established factories and were engaged in commerce. In 1821 the community of Pest was formally recognized and began to assume a central role in Jewish life in Hungary. The Pest community fulfilled an honorable task in the Hungarian National Revolution, also known as the Revolution of Liberty against the Habsburg rule, in 1848-1849. Many Jews joined the insurgents, and the Jewish community also contributed considerable sums of money. However the revolution failed, and the Jews of Pest were imposed heavy taxes, because of their participation in the insurgency. In 1867, following the set up of the dual monarchy of Austria-Hungary, the new Hungarian government granted equal rights to the Jews of Hungary. In 1895 Judaism was officially recognized as one of the accepted religions in Hungary. The community of Pest founded numerous welfare institutions, such as homes for the elderly and sick; an orphanage for girls, opened in 1867, the first of its kind in Hungary, followed by a second one for boys in 1869; a home for deaf and dumb, opened in 1876; and several hospitals, the first being founded in 1841. The first synagogue was opened in 1787 in Kiraly Street. Later several more synagogues, including a Sephardi one, were built. In 1859 the Great Synagogue, which is one of the largest in Europe, was built on Dohany Street. The first Jewish school in Pest was opened in 1814, and both religious and secular subjects were taught, in German. There were also several private Jewish schools. In 1852 a girls’ school was opened and in 1859 a Jewish Teachers’ training college. The orthodox congregation opened its first school in 1873. In 1867 the community of Pest initiated the Congress of Hungarian Jewry with the aim of discussing the disputes between the Orthodox and the Neolog congregations. Following the congress, the Orthodox appealed to the Hungarian parliament and were permitted to organize themselves in a separate congregation that was founded in 1871. It was headed after 1886 by Rabbi Koppel Reich, also a member of the Hungarian upper house in 1926. In 1877 the Rabbinical Seminary was opened in Budapest, one of the world’s most important institutions for rabbinical training, whose aim was the integration of rabbinical studies with general education. Some of the founders and teachers were famous researchers and instructors. The seminar’s publications included writings and various surveys, such as the Jewish-Hungarian journal Magyar Zsido Szemle. The seminary had a central role in molding modern Hungarian Jewry. The orthodox stream, however, boycotted the institute. The second half of the 19th century was a period of prosperity and cultural thriving for the Jewish community of Budapest. At the beginning of the 20th century Budapest became an important center of Jewish journalism. The first Jewish newspaper in Hungarian was the weekly Magyar Israelita. Jews also assumed an important role in the founding and editing of leading newspapers in Hungary, for example Nyugat (West). In August 1919 anti-Semitism in Hungary increased – The White Terror. After the fall of the Hungarian Soviet Republic, the regime of Admiral Miklos Horthy organized army gangs to clear the country of Communism and its partners. The main victims of this “purification” were the Jews. When Admiral Horthy entered Budapest on November 14, 1919, Jewish officials in the army and government service were dismissed, Jews were forbidden to trade in tobacco and wine, and scientific institutions were closed to them. Then, in 1920, the Numerus Clausus law was imposed, which determined admission to universities on a national basis. In 1922, 15,000 Jewish residents of Pest were expelled on the grounds that they did not have Hungarian citizenship. Between the World Wars the education system of the community included 15 institutions with 3,600 students, excluding the Orthodox community, which, at this time, comprised about 10,000 people and established its own educational and welfare institutions. In 1935 there were 201,069 Jews living in Budapest making it one of the largest Jewish communities in the world. Following the publication of the Discriminatory Laws of 1938-41, which limited Jewish participation in economy and society, some large institutions and factories were required to discharge their Jewish employees. In 1940 a conscription of Jews for forced labor began. Many families were left without any means of livelihood. On November 20, 1940 Hungary signed a treaty with Italy and Japan, thus officially joining the Axis Powers led by Nazi Germany. The aggressive anti-Jewish policy brought about the death of more than 15,000 members of the Jewish community of Budapest in deportations and forced labor camps in the period that followed Hungary’s entry in the war against the Soviet Union in 1941 until the occupation of Hungary by the German army on 19 March 1944. In March 1944, the Jewish organizations were dissolved and replaced, as ordered by Adolph Eichmann, by a Jewish council Zsido Tanacs. The Jews had to wear the yellow badge. Freedom of movement was restricted and many buildings were expropriated. The licenses of Jewish advocates and newspapers were suspended. On June 30, 1944, the Germans started to concentrate the Jews in certain parts of the city. On July 19, 1944, Adolph Eichmann ordered the deportation to Auschwitz of 1,200 Jewish detainees of the camp at Kistarcsa that had been previously imprisoned for attempting to leave the city without permission. The anti-Semitic Arrow Cross Hungarian party, headed by Ferenc Szalasi, seized control over Hungary in October 1944. The new government began slaughtering the Jews immediately, killing 600 people in the first days. Papers and certificates allowing Jews to stay and work in the city were no more valid. On October 20th 1944 Eichmann ordered that all men aged 16-60 were to be sent to dig fortifications against the approaching Soviet army. 50,000 men marched on that Death March. Three days later the women and children were forced to join the men. These Jews were later transferred by the Germans at the border station at Hegyeshalom. The remaining Jews were concentrated in two ghettos. At the end of December 1944 there were about 70,000 people in the main ghetto; tens of thousands found shelter in the International Ghetto, where diplomats of neutral nations, such as Carl Lutz of Switzerland and Raoul Wallenberg of Sweden, were issuing protective papers for Jews. The Zionist organizations also forged documents in order to save Jews. 2,748 Jews were hidden in monasteries and in church cellars. The number of protective certificates, legal and forged, issued in Budapest was around 100,000. 76,000 Jews were handed over to the Germans until the Soviet army captured the city on January 17, 1945. This number included victims of deportation and death marches; about 15,000 perished from these causes. In all, over 50% of the Jews of Budapest perished in the Holocaust, over 100,000 victims. At the end of World War II there were some 90,000 Jews in Budapest. 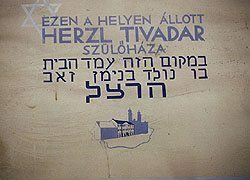 Budapest was the birthplace of Theodor (Binyamin Ze’ev) Herzl (1860-1904), the father of modern Zionism, The writer and physicist Max Nordau (1849-1932), a founding member of the World Zionist Congress and author of the Basel Platform at the First Zionist Congress (1897), was also born in Budapest. In 1903 the student Zionist association Makkabea was established, and the first group of its members immigrated to Palestine before the end of World War I. The Zionist press in Budapest started in 1905 with the publication of Zsido Neplap, which was shut down two years later. Zsido Szemle, another Zionist publication started in 1911, the same year that marked the appearance of the quarterly Mult es Jovo. The Zionist activity in Budapest was strengthened by the arrival in the city in 1940 of Zionist leaders from Transylvania, among them Rudolf Kasztner and Erno Marton. The worsening situation of the Hungarian Jewry during the late 1930’s and then during the Holocaust period brought about a rise in the popularity of the Zionist movement and ideas. Although the Zionist organizations were again active after the World War II, the Communist regime interdicted their activities after 1949 and some of the Zionist leaders were tried having been accused of “conspiracy”. After the Holocaust, many of the survivors turned to Zionism and emigrated to Palestine. Others stayed in Hungary, where a large number of them abandoned the Jewish tradition and identity, either because of the traumatic war and Holocaust experiences, or due to the influence of the atheistic government of Hungary. In 1956, after the Hungarian anti-Soviet uprising, about 25,000 Jews left the city. During the Communist period, the Jewish community of Budapest was controlled by the Department of Religious Affairs within the Ministry of Internal Affairs. Since 1968, in each of the 18 administrative districts of Budapest there was at least one synagogue, among them the Great Synagogue in Dohány Street, a rabbi, a Talmud Torah and a lecture hall. Also, there was a Jewish high school in the capital, with an attendance of about 140. The Orthodox community founded a yeshiva with 40 students. The Rabbinical Seminary, which was reconstructed after the war, and the only one of its kind in any communist country, continued to be active thanks to the support of the Neolog movement. Uj Elet (New Life), a fortnightly was published by the Budapest Jewish community. Other services provided included a Jewish hospital; old aged home, kosher restaurant, ritual slaughtering, a Matzoth bakery, and a Jewish hospital with a capacity of 224 beds. In the years 1989-1990, following Hungary’s return to democracy, a true revival of Jewish life in Budapest began. Today synagogues, community centers, culture and education institutions, sport associations and Zionist organizations are once again active in Budapest. Budapest is now the largest Jewish community in Hungary, and also in Central Europe, with 23 synagogues and prayer houses, two colleges, three secondary schools, three kindergartens, a hospital and two nursing homes, as well as several cemeteries. The headquarters of national Jewish organizations are also located in Budapest. The two main congregations are the Neolog and the Orthodox. The Orthodox congregation, which during the Communist period was integrated into the Budapest Israelite Community during the 1950’s, regained its independence in 1994. The Orthodox community maintains several institutions, synagogues, cemeteries, schools, a Mikveh, and kosher food stores. A Jewish Festival was held in Budapest in the summer of 1999, by the Tourism and Cultural Center of the Budapest Jewish Community. The festival included various events such as concerts, public prayers, cabaret shows, book fairs, films, etc. The Balinat Community Center was established in 1995. It houses a variety of activities, such as an amateur theatrical group, a mother and baby club, Brit Ivrit Olamit – a Hebrew language club, CompuTorah – teaching the Bible with the aid of computer programs for children, speech therapy, children’s arts and crafts group, an audio library, Yoga courses, Chess circles, etc. Young Jewish actors, along with veteran Jewish performers, founded the new Ribary Theatre. There is also a children’s theatre. Other Jewish activities include, five choirs, a children choir, a Hora dance troupe, two Klezmer bands, a youth orchestra, a Jewish pub, and a Jewish dating service. • The Yahalom Jewish University. • The Budapest College of the Modern Business Sciences, founded in 1995. All students are taught Jewish religious subjects in addition to the regular courses. • The Anne Frank Gymnasium originally founded in 1919 when it was known as the Gymnasium of the Jewish Community of Budapest. • The Lauder Yavne Jewish Community School and Kindergarten, founded in 1990, a liberal institution that offers secular studies, as well as Jewish history, literature, religion and Hebrew. • The American Foundation School founded in 1990, under the sponsorship of the Reichmann Foundation, offers religious Jewish studies. • The Forras Educational Resources Center, an audio-visual center, serves teachers and students of Jewish studies. • The ORT Computer Training Center. • Beth Peretz Jewish Education Center Foundation. Founder of the Academy for the Study of Modern Islam. He was the secretary of the Budapest Neolog community from 1874 to 1904, and the helped the founding of the Jewish-Hungarian Literary Society which was active in the dissemination of Jewish culture to the public at large by means of lectures and publications – among them the first Jewish translation of the Bible into Hungarian. He also founded the Jewish-Hungarian museum. He was a teacher in the famous Rabbinical Seminary of Budapest. A famous traveler and researcher was instrumental in introducing Theodor Herzl to the Sultan of Turkey. An outstanding dramatist and novelist is best known today as the author of the famous children’s book The Paul Street Boys (1927). A dramatist and scriptwriter wrote scripts for some celebrated movie films, such as The Blue Angel (1932) and Ninotchka (1940). Director of the Rabbinical Seminary during the 1950’s. He published researches on the history of Hungarian Jewry, and in his last years was active in the consolidation of communal life in Budapest. A poetess and paratrooper in the Haganah underground Jewish military organization in Palestine, was sent on a mission to Hungary during World War II in order to help organize Jewish anti-Nazi resistance; she was captured and executed by the Nazis.